Publisher: Telltale Games. Developer: Telltale Games. Genre: Point 'n' Click; Adventure. Other versions: PS3; XONE; X360; PC; VITA. 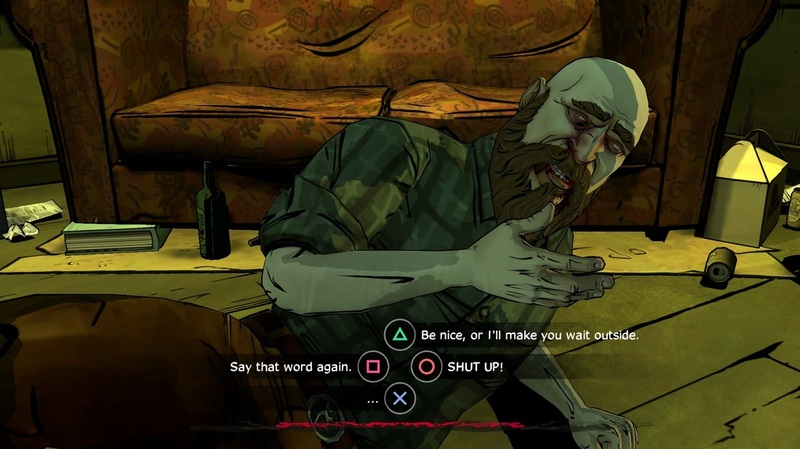 When Telltale caught lightning in a bottle with their version of The Walking Dead in 2012, no one could have predicted its lasting impact. Earning several year-end rewards and much critical praise, it helped establish a formula which Telltale is now following closely. As they adapt the likes of Game of Thrones and Borderlands into their new format, a long-gestating version of Fables has also arrived in the form of The Wolf Among Us. Sleek and crammed with style, it also solidly updates the Telltale formula despite fighting with some issues. 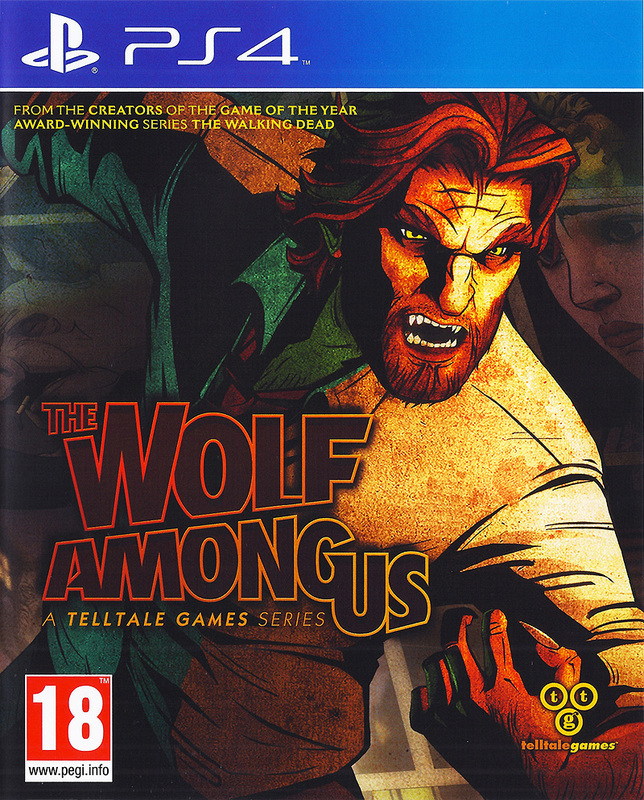 The Wolf Among Us follows the misadventures of Bigby Wolf, also known as the Big Bad Wolf. Like the comics, TWAU takes place in New York and highlights several Fables characters trying to adapt to life outside the Homelands and shows Sherriff Bigby try to provide the law. But when a decapitated head of a working girl is left on the doorsteps of the Big Bad Wolf, it’s up to Bigby and others in the office, such as Snow White and Bluebeard, to find out who is responsible. 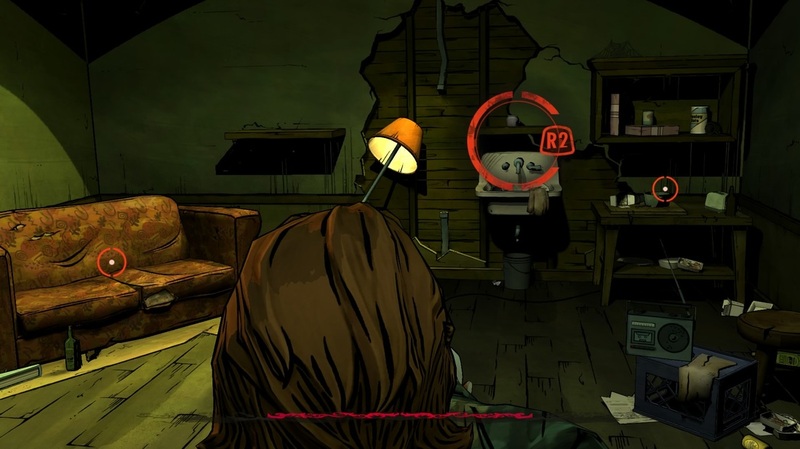 Telltale’s episodic format brings with it similar highs and lows found in their other games. Episode One starts off super strong, establishing the world and characters of this adventure in exciting fashion. And while momentum is kept up pretty well as you progress, the final two episodes disappoint. Episode Four is a complete bore, awkwardly stuck between the high-impact ending of Episode Three and the natural conclusion of Episode Five. And while the finale certainly feels exciting with a series of tense encounters with the big baddies as well as definite flexibility regarding the outcome, it also highlights that very little you do throughout the game has any kind of impact. In fact, that lack of choice certainly hurts the experience. Some key opportunities do arise to change certain things, such as the option to decapitate the arm of one of the game’s characters or burning a magical tree which helps create disguises for animal fables; they hardly change the course of the game. 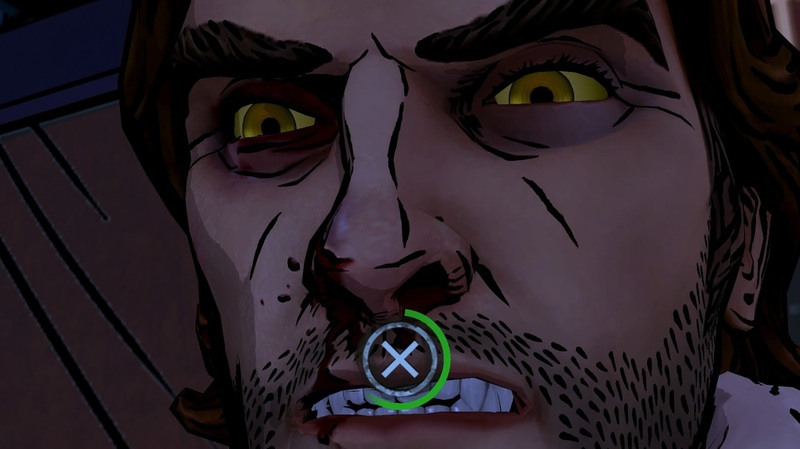 You certainly can shape the perception of Bigby Wolf, as characters may change their attitude towards you depending on your actions, but unlike Telltale’s last game, the rigid nature of the murder-mystery storyline leaves little opportunities for actual non-linear detective work, bar one segment where you must use your detective skills to outwit Toad’s lies. In the end, it leaves TWAU with a lack of replay value. Though it sounds like TWAU is disappointing, it still manages to sink its hooks into you and keep you engaged. This is largely due to the strong source material which, thanks to Telltale’s absolute care with voice work and character writing, comes to life. From the dodgy, cheeky Toad to the slimy and repulsive Crane, every character benefits from deep development, terrific voice acting and memorable lines. Visiting a nightclub might seem old-hat, but it becomes enjoyable when you’re greeted by the sarcastic, sharp Georgie. And while the inert linearity is a bit disappointing, it’s interesting to see how characters react differently, depending on the dialogue choices you make. Even later introductions, such as the scary Bloody Mary, are successes. And while sometimes inconsistent, there are many memorable moments throughout. After implicating a character of your choosing in Episode One, you are then allowed to interrogate said character, using either brute force or more subtle methods. An intense fight sequence in a Pawn Shop stands out amongst a mostly uninteresting Episode Four, and is only rivalled by the incredible brawl you engage in with The Woodsman in the first episode. 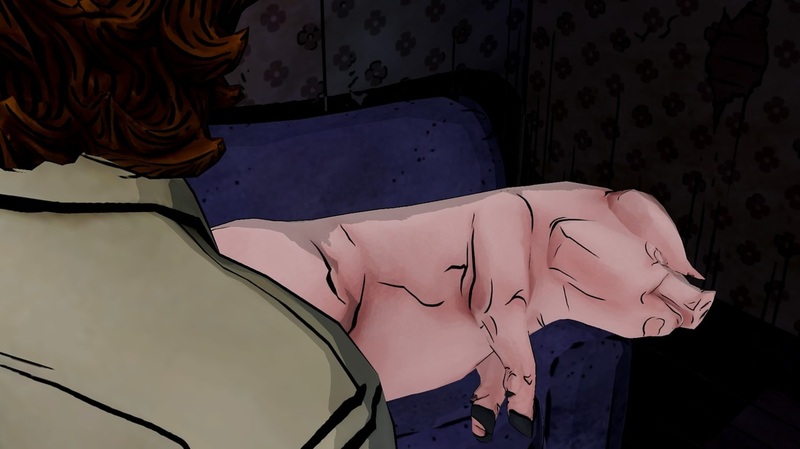 And there’s a nice, subtle subplot involving Bigby’s association with one of the three pigs and his avoidance of The Farm, a prison for those animal Fables who can’t afford to buy Glamour disguises. Press 'X' to feel anger! TWAU also benefits from a really solid production, and even better stylistic touches. While bearing a similar cel-shaded style like The Walking Dead, Telltale smartly injects a smattering of neon-colours and darker lighting to not only reflect the 80s time but also create a noir-styled adventure, which is incredibly fitting. And though characters sometimes suffer from unsynched lips, there’s still great animation which keep conversations looking smooth. Some of the best visual moments come from the QTE fights, which benefit from an injection of brutal violence. And though previous Telltale efforts have been marred by technical woes, they are significantly reduced by the PS4, which provides a smoother frame rate and less pauses and hiccups. Though The Wolf Among Us is a game of highs and lows, the positives manage to outweigh the issues it suffers from. It’s a shame that the linearity of the experience doesn’t lend itself to multiple playthrough, as once you experience all the twists and turns of the solid murder story, it’s not nearly as enticing to experience them again. But while it lasts, it’s an enjoyable point-and-click which benefits from excellent characters, a great sense of style and Telltale’s usual care for the stories they tell. So for fans of the developer, and of the comic, it’s a solid recommendation, but if games like The Walking Dead and Back to the Future haven’t won you over, this one won’t change your mind.